Davide De Palma was born in Benevento in 1978. From an early age he loved drawing, music, poetry and literature. He wrote his first poems at the age of twelve, at the same time he began studying the guitar. 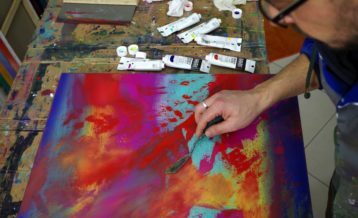 He graduated from a technical institute in Benevento and a passion for art led him in 2003 to Bologna, where he studied for two years at the Academy of Fine Arts. 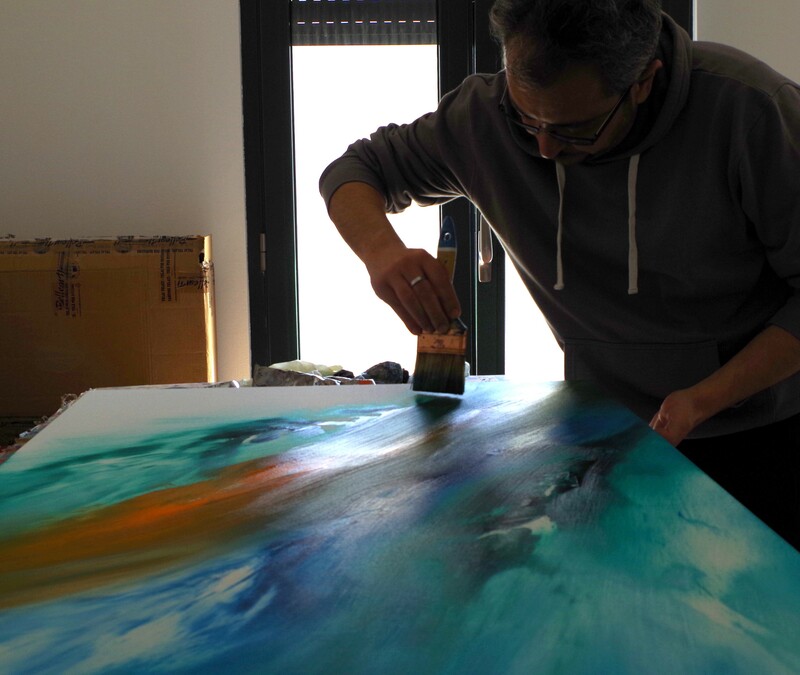 He currently lives in Montefalcone di Val Fortore, and the constant in his life is his love for art. 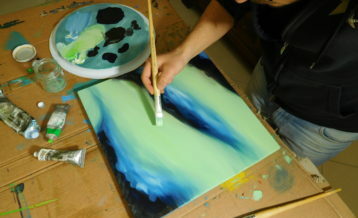 The technique he uses involves quality oil on canvas, painted with paintbrush, palette knife and often to complete his artworks he uses his fingers. He takes his inspiration from the ‘unsurpassed beauty of nature, the reflection of light of a sunset, the sound of the rain, and the scents of Spring’.